Representation theory of Lie theoretic objects and its interactions with algebraic combinatorics. 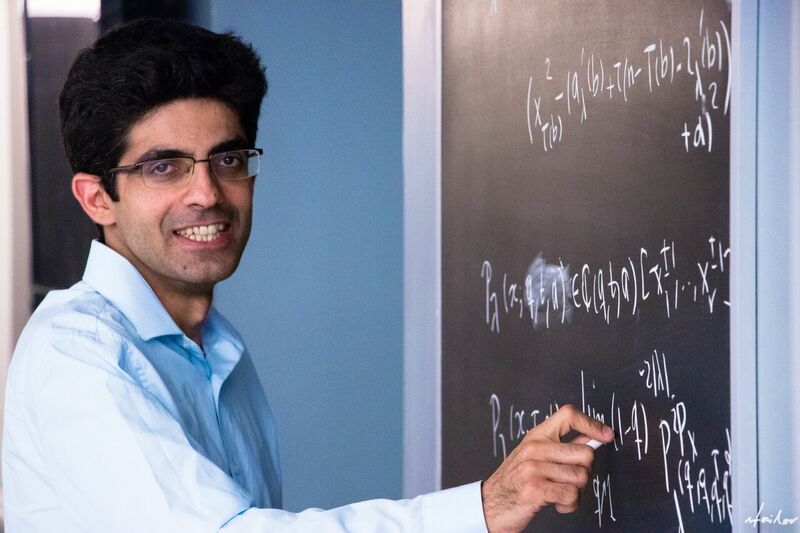 • NEW: I am a co-grantee (together with "Anne Broadbent, Monica Nevins, Delaram Kahrobaei , and Raza Kazmi) and a theme leader of the New Frontiers in Research Fund on Algebraic Techniques for Quantum Security. We are currently recruiting strong graduate students and postdoctoral fellows for this project. Candidates with a strong background in pure mathematics and/or theoretical computer science are encouraged to apply. • I am a recipient of a Homboldt Research Fellowship for Experienced Researchers. • To view my short CV, which includes the list of projects of my former students, click here. I have openings for Ph.D. and M.Sc. students. Students with a strong undergraduate background, in particular in algebra, are invited to apply. Applicants who are interested in working under my supervision should mention my name on their application as the potential supervisor. Graduate students will be able to choose a project from a broad range of topics. For further information on our graduate program and the application process, click here. • If you are interested in doing research under my supervision, I highly recommend that you look at the research project reports written by my former students. You can find these reports on my Curriculum Vitae. • If you are considering graduate studies under my supervision, you are welcome to schedule an appointment with me to discuss project options. I have several research projects for undergraduate students. Students will be supported financially by an NSERC Undergraduate Student Research Award , the Undergraduate Research Opportunity Program, or the Work–Study Program . Depending on the topic of the project, it may consist of one or more of the following: independent reading, writing a report, making a presentation, or running a computer experiment. You can contact me via e-mail for further information.